Ten games unbeaten in the Premier League - Rate Maurizio Sarri's start at Chelsea. Maurizio Sarri guided Chelsea to their 4-0 victory over Burnley on Sunday to extend his unbeaten run at the start of his Chelsea tenure to ten games. Just how impressed have you been with the impact he has made since he walked through the door at Stamford Bridge? I have to hold my hands up and admit that I never expected him to have an almost instant impact on the way we play. Think about it for a second here, the man himself spoke of needing time to implement his football and said that it would be two to three months before we got to see signs of it. Even now Maurizio Sarri has spoken of feeling that we are lacking behind the likes of Manchester City and Liverpool as a complete team. In the early weeks for me it was impressive when we were in possession of the football. Without it there are still concerns for me defensively with the games in the early weeks against Arsenal and Bournemouth being glaring examples of the problems we have at the moment (despite there being obvious improvement although not anywhere near perfect as yet). 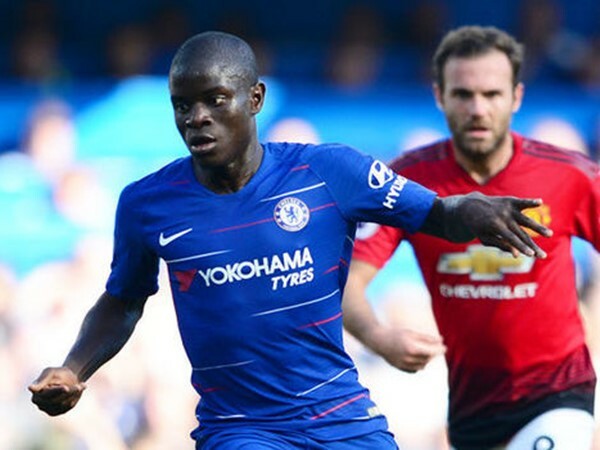 I still have major concerns with the position of N'Golo Kante defensively in the big games and worst of all Jorginho who cannot tackle and makes just a gesture if anything when up against a physical opponent. 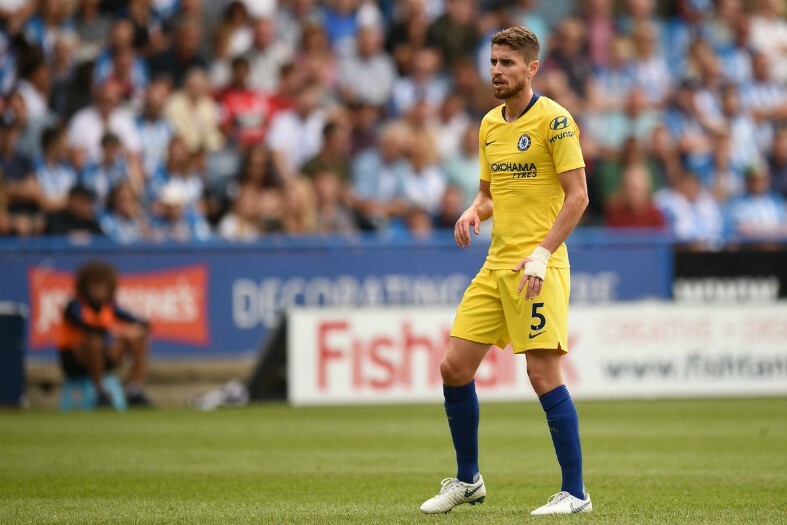 He does step in to win back possession and encourages the rest of the team to step up and press in our opponents half but, in saying that, when we get turned and a ball is played either through or down the channels in behind us, Jorginho struggles to get back with any real vigour which is what we have been so used to seeing for two years with N'Golo Kante playing there. If you now add Marcos Alonso to the equation and the amount of times he gets caught up the pitch and out of position, which has cost us goals in recent weeks (United for example), then Maurizio Sarri and his technical staff need to find a realistic solution that will work week-in, week-out because that side is giving us a real headache at the minute and we have to ensure that David Luiz remains disciplined and holding his position in the centre. We cannot and do not want him to roam out wide to try and win a challenge leaving us exposed in the middle with Jorginho struggling to get back and cover. Enough of the negatives defensively, now to look at the glorious positives there are when we are in possession of the ball. Apart from a couple of stuttering games (West Ham being one of them) Chelsea have been more than impressive and as the weeks go by we seem to get better. Gone are the days of passing the ball slowly and sideways! I've been saying for years that Chelsea are at their very best when we move the ball quickly and play with a good tempo. It's my view that we can cause anyone problems when we play like that and if you add the form of the likes of Eden Hazard, Willian and Ross Barkley at the moment, we are a real treat on the eye and receiving plaudits for our playing style. With the ball Jorginho is immense and such a clever player. He always makes himself available for an easy pass, he can play it simple, long or a on-touch flick passed his direct opponent to open the game up as he did against Burnley on two occasions for goals. Whether he can be such an influence swapping positions with N'Golo Kante is yet to be seen. Mateo Kovacic has walked in the door and has settled straight in speaking recently of how much he is enjoying life at Chelsea, the Premier League and London. He gives us the box-to-box option, excellent with two feet and willing to put in a shift to get back and assist our defence without the ball. Ross Barkley is a different player than the one we signed. He looks fit, he looks lean and he is someone you can see is loving life right now. 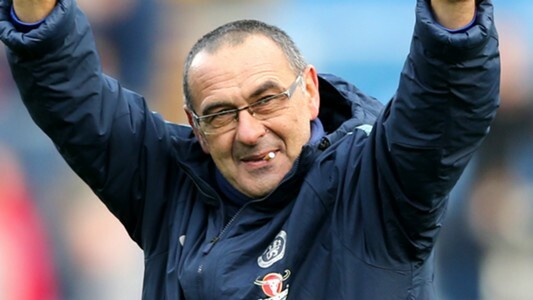 Having openly stated that he has studied Maurizio Sarri's Napoli side to see what the manager demands from playing the role that he does at the moment, it's no surprise that he has really come to fore. Three goals and three assists in the last three games is an excellent return. The last Englishman to score three goals in a row for Chelsea in the Premier League is Frank Lampard. 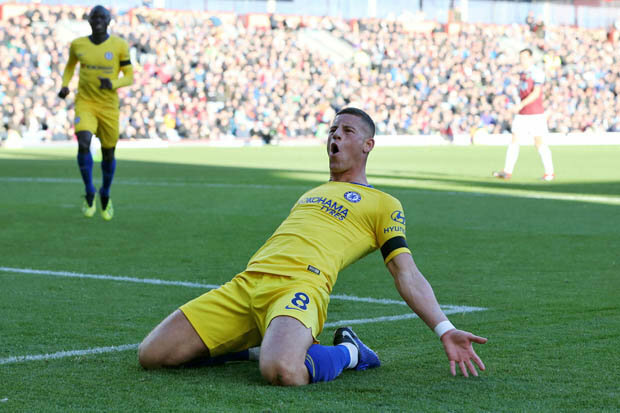 You have to hand it to Barkley, he has got his head down, worked hard on his game and deserves to be starting alongside Jorginho and Kante at the moment. Let's hope his good form continues. Alvaro Morata has got his goals and is on a nice run of three goals in four games to give him a much needed boost. I personally have little doubt that it will continue as I believe he is class. We just need Olivier Giroud to do the same! Toni Rudiger deserves more than a mention on here because he has also been outstanding and as far as immense despite our defensive concerns. He has been everywhere and in my view had cemented his place in the side - it's now him plus one other which is a real credit to him. I could harp on all day about the players - I haven't even mentioned Eden Hazard as you will notice. There is nothing to say other than he is the best in the world right now, top scorer and loving it here again - let's hope he stays. I have been really impressed with Maurizio Sarri since he arrived. He comes across as very humble, appreciates where he has come from and just how privileged these players are to be doing what they do for a living and that has transferred through to the players. Everyone has a clear idea of their role in the side, of what is expected but most importantly of all, they have had confidence instilled in them from Sarri that they can express themselves and play his way to which we are seeing every week. I still think that the defensive issues will cost us the league title but if we continue to improve - the top four should be a very realistic target plus a trophy at the end of the season. How do you rate Maurizio Sarri's start to life at Chelsea and our current unbeaten run?